Perfect building protection, inside and out, for medium sized applications. 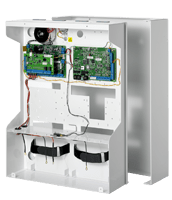 SPC5000 controllers cater for up to 128 wired zones/120 wireless zones and 128 outputs, and are available in metal cabinets providing space for 7 ah or 17 ah battery. They come with integral power supply, on-board 8 wired inputs and 6 outputs, two X-BUS expansion interfaces, on-board Web server as standard and Ethernet for SPC53xx models.In addition to the on-board IP communication capabilities, they support dial-up over PPP or GSM data connection using an additional modem. 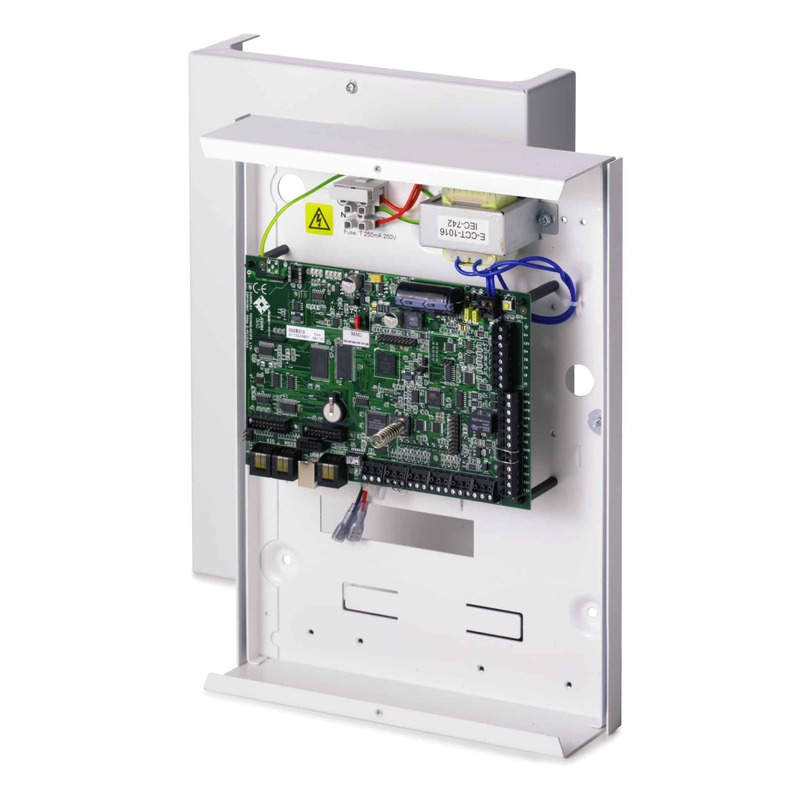 The controllers enable the control of up to 16 doors/32 readers. The long distance X-BUS enables fast data exchange and redundancy (ring topology), ensuring minimal door operation waiting time and high reliability. 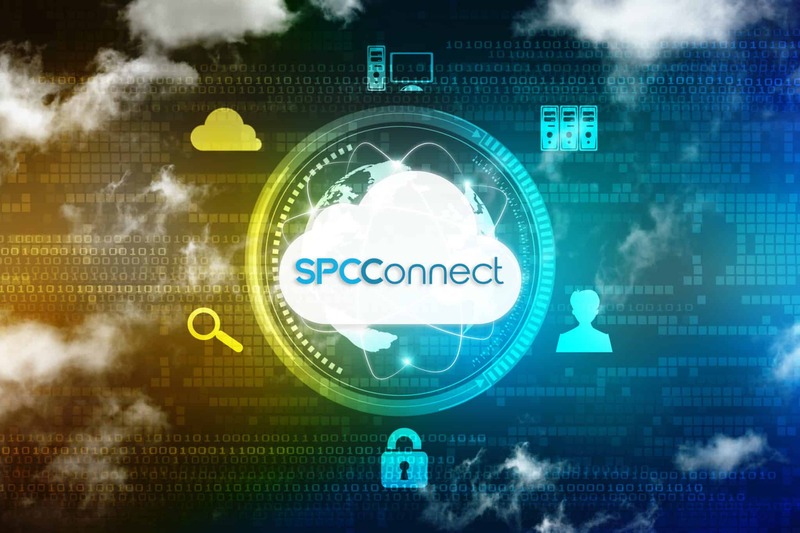 Vanderbilt`s SPC5330.320 control panel combines in an optimal way intrusion and access functionality in one system and can be expanded according to specific customers and project needs with up to 128 zones (8onboard), 128 outputs , 16 system keypads, 16 doors, 8 verification zones. The controller provides 2 X-BUS ports (2 stubs or 1 loop), 16 areas, 500 users with different access levels, memory for 10’000 intrusion and 10'000 access events, integrated Web Server, 2 terminals for the pluggable PSTN and GSM/GPRS communication options, onboard Ethernet interface. 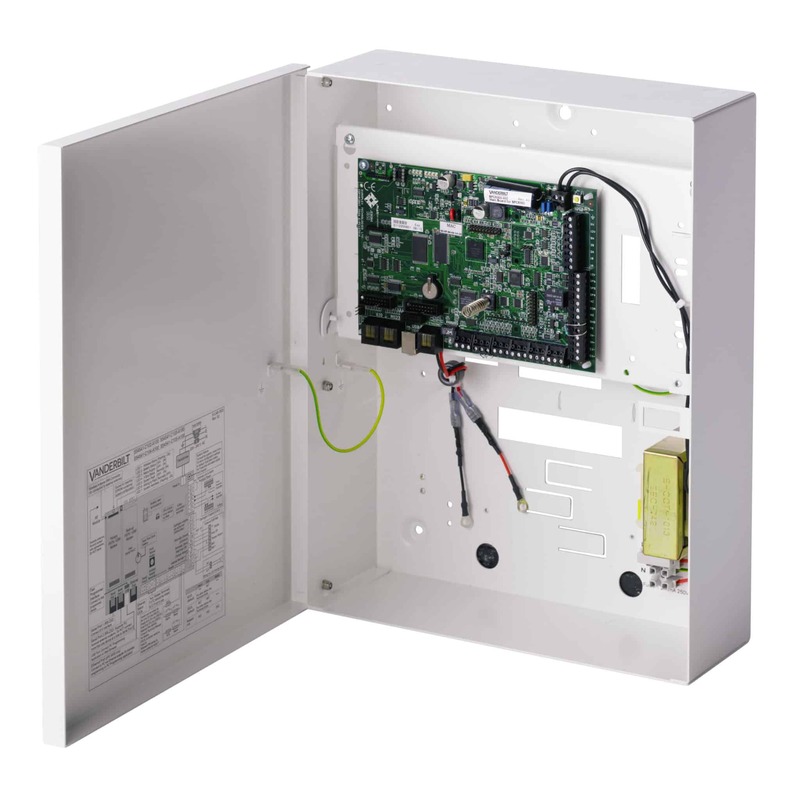 The panel comes in a tamper-protected metal housing with space for an optional 17 Ah battery..